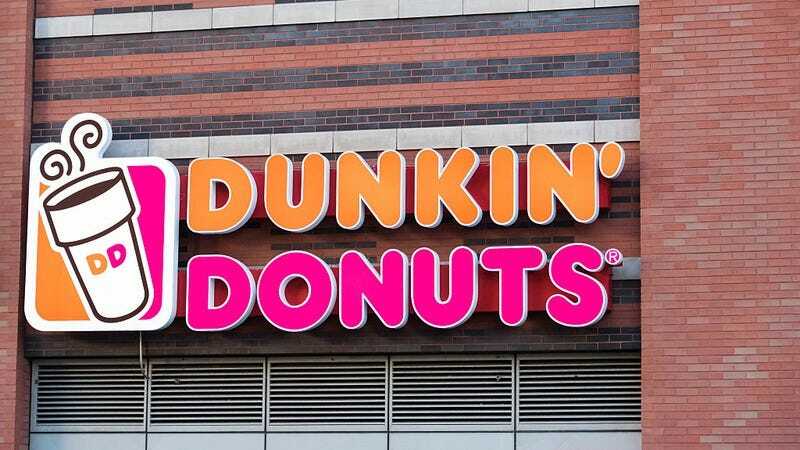 Dunkin’ Donuts, which has convinced Americans to eat cake for breakfast since 1950, is considering dropping “donuts” from its name in an effort to rebrand itself as a “beverage-led brand.” Nation’s Restaurant News is reporting that the chain will be opening a location in Pasadena, California that will simply be called “Dunkin’,” though it will continue selling donuts, coffee drinks, and other breakfast products. A company spokesperson said it’s merely a branding exercise at several locations, which if successful, may be part of a larger redesign with the abbreviated name set for mid-2018. There are more than 12,300 locations of Dunkin’ Donuts around the world, including in England, Mexico, Germany and India.